Thank you for your interest in becoming a volunteer at MarineParents.com, Inc. To apply for a position, please complete the application below in it's entirety. Incomplete applications will not be considered. There is no monetary compensation to volunteers. Volunteers for online positions must commit to 2-3 weeks in training plus an additional 3-4 weeks in mentoring. Applicants must make a 12-month commitment to volunteering. By submitting the online application, you agree to allow MarineParents.com to check the accuracy of the statements and information on this application. You agree to allow MarineParents.com to check your references, character, and background. You understand that inaccurate or false information will be grounds for immediate dismissal from any volunteer position. All applicants for a volunteer position must complete either in-person training, or if the position is for an online volunteer, independent online training through reading and responding to online documents. On-going professional development for volunteers including the study of Marine Parents services, outreach, informational websites, Marine Corps history and in the instance of recruit group volunteers, boot camp structure, is also required. Important Notice: Applicants must be at least 20 years of age to apply for a volunteer position. All of our volunteers must agree to a background check. You will be asked to call the corporate office to provide your social security number (SSN) for this purpose. We will never ask you to submit your SSN electronically or through US Mail. If you are unwilling to supply your SSN, you will not be considered for a volunteer position. For more information on the Facebook groups visit: https://marineparents.com/facebook.asp. Please note that ALL Facebook Group volunteer positions start out as a VIT (Volunteer in Training). How many hours a week are you available for volunteering? Are you able to make at least a 12-month commitment to your volunteer assignment? How are you related to a Marine or recruit? If you are a Marine, when did you serve? In what career stage is your Marine/Recruit? 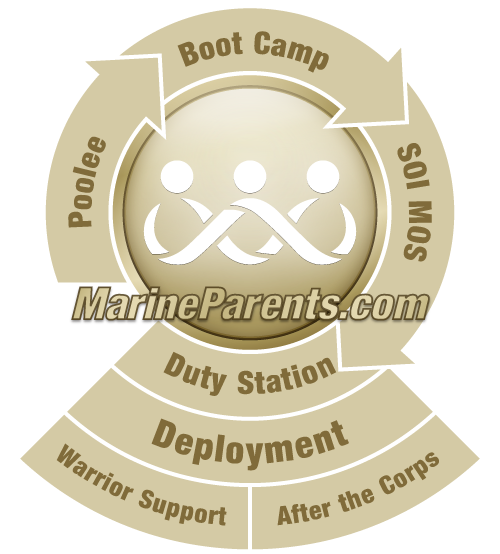 How would you summarize the philosophy of MarineParents.com? Please tell us why you would like to volunteer at MarineParents.com. Please tell us about any skills or talents you may have that will help you in our job as a volunteer. Please provide full name and phone number for a work reference. Please provide full name and phone number for a personal reference. Who referred you to MarineParents.com to apply for a position as a volunteer? By submitting this application, you agree to allow MarineParents.com to check the accuracy of the statements and information on this application. You agree to allow MarineParents.com to check your references, character, and background. You understand that inaccurate or false information will be grounds for immediate dismissal from any volunteer position. Yes, I have read the above statement and agree to the reference, background and/or character check for purposes of consideration for a volunteer position at MarineParents.com. I have read the above statement and DO NOT agree to a reference, background and/or character check for purposes of consideration for a volunteer position with MarineParents.com. I understand that by checking this statement my application may be rejected without further review.